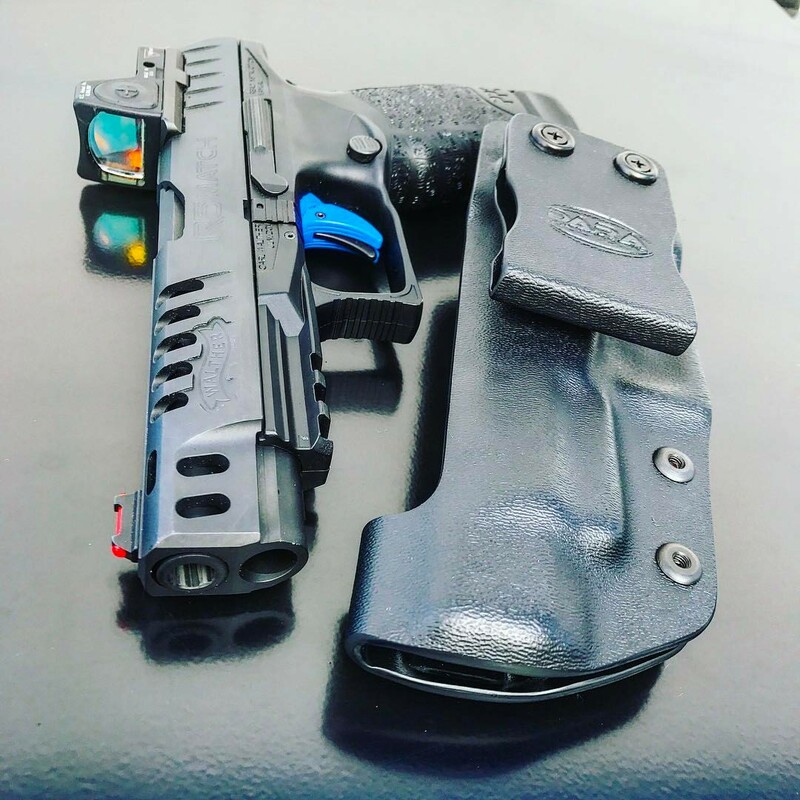 OUR CUSTOM RACE HOLSTERS ARE MADE FROM .125" BLACK KYDEX, FASTENED WITH MELONITE FINISHED HARDENED STEEL HARDWARE. 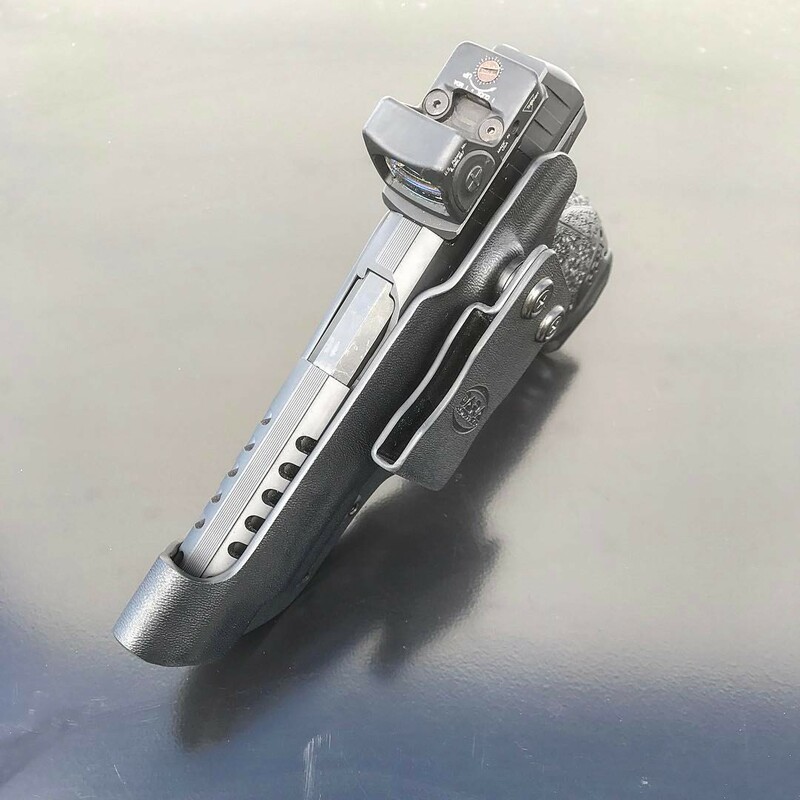 ALL HOLSTERS AND MAGAZINE CARRIERS COME WITH AN ADJUSTABLE MILITARY GRADE RUBBER RETENTION SYSTEM. 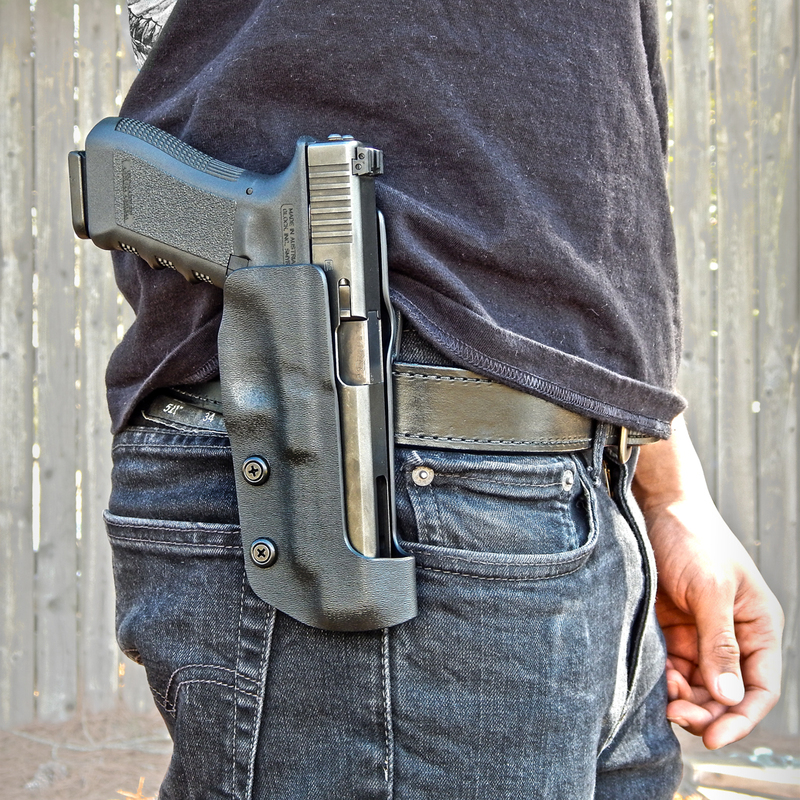 OUR HOLSTERS ARE MOLDED TO THE SPECIFIC FIREARM AND TESTED FOR THE PERFECT FIT. THE EJECTION PORT CUT IS DESIGNED FOR THE FASTEST DRAW POSSIBLE, LEAVING ENOUGH SLIDE COVERAGE FOR STABILITY. YOU HAVE THE OPTION TO COMBINE YOUR RACE HOLSTER WITH MAGAZINE CARRIERS. YOU CAN CHOOSE FROM OUR REGULAR SINGLE MAG CARRIERS, AS WELL AS OUR NEW ADJUSTABLE SINGLE MAGAZINE CARRIERS. THE CANT ANGLE OF THE ADJUSTABLE MAG CARRIERS CAN BE MANIPULATED FOR OPTIMUM COMFORT AND EASE OF USE.